My birthday was a few weeks ago and I was very lucky and managed to get around $150 from family & friends. I didn't really know what to do with it (I know, I could have put it in the "Sydney fund" but it was my birthday and I wanted to have fun with it!) so I decided to look up typewriters as I had wanted one for quite a while. I ended up finding an Australian website by the name of Charlie Foxtrot. They specialise in vintage typewriters & cameras so I knew that it would be in good working condition. 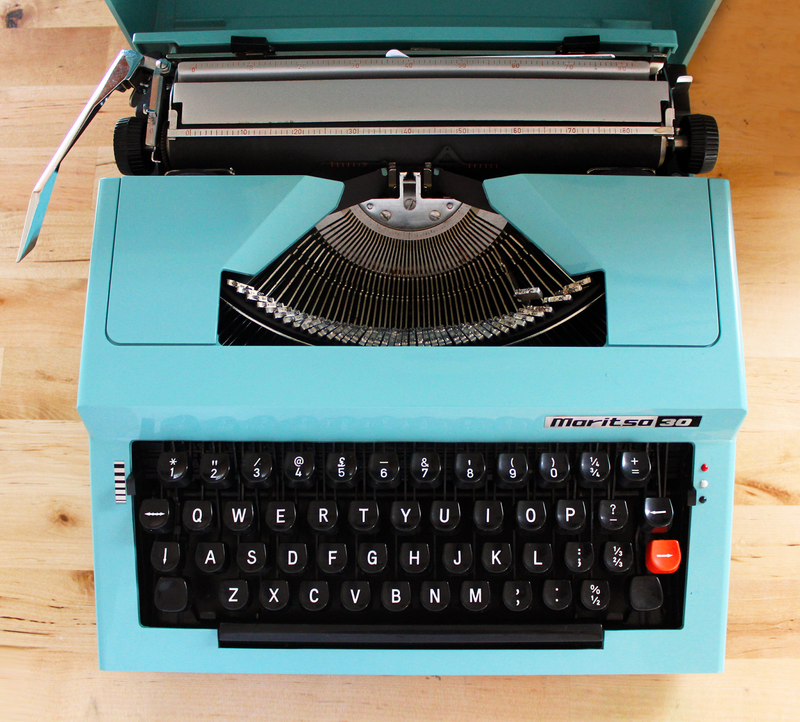 I looked at the typewriters they had at the time and the Maritsa 30 instantly stood out to me because of the colour - the colour was perfect and I knew that if I was going to spend a bit of money on it that I wanted it to be cute. It's funny, typing on a typewriter is a unique experience. You really have to think about what you're writing as it takes so much effort to use. At the beginning I suffered from "guitar fingers" - when I first learned guitar in grade 2 my fingers got really hard and sore, they toughen up. The same thing happened when I started using the typewriter. Each time you push one you have to be very deliberate and push quite hard - there's definitely no touch-typing with a typewriter. 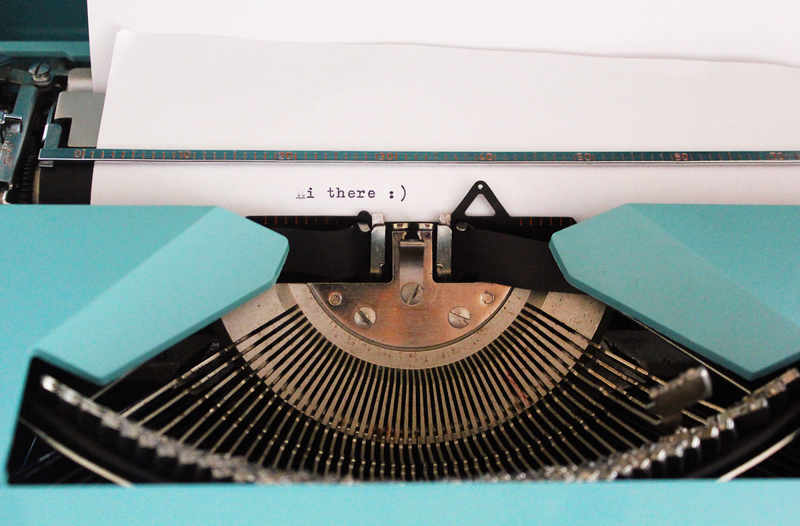 It's fun nonetheless and I'm very glad I bought the typewriter I did. Such a pretty typewriter!! I love vintage ones so much as they are so pretty. Thanks Chelsey :) They really are so gorgeous but it's difficult to find one in working condition! oooh I love vintage type writers! I have three now :-) that is such a pretty one- such a lovely blue! they're so fun! do each of yours have different fonts?